Scytl in Ecuador and Mexico: Is it the same screenplay? The Spanish Company Scytl seems to be developing a knack for controversies, in the same vein as that used in 2014 to lure entrepreneurs like Paul Allen, and investment groups as Vy Capital, in order to tap millions of US$ in investment roundtables. It is a dangerous combination of incompetency, arrogance and effrontery that made Scytl the center of several scandals around the world, in a very short space of time. Only in 2014, Canada, Norway, Peru and Ecuador suffered firsthand “the Scytl experience”. In 2015 it is now Mexico´s turn. The National Electoral Commission (INE) contracted this Spanish company last September 30th, 2014 to supply an online accounting system for political parties, made up of three modules: Accounting, Controlling and Transparency. However, on December 14th alarms went off, as Scytl did not submit the first module of the accounting system on time. Since then, all facts are remarkably similar to what happened a year ago during Ecuador´s sectional elections. On that occasion Scytl failed in its attempt to deliver electoral results on time. It was not about a delay of hours, but of weeks that took Syctl to deliver the results expected that very election evening. After a whole month of delay in delivering the results in Ecuador, the noncompliance with obligations by Syctl was very evident. In spite of that, the company refused to accept its failures and blamed the Ecuadorian Electoral Commission. To date, the Syctl website refers to the Ecuadorian experience as a total success. Last week, in light of the early termination of the Service Contract by Mexico, the company reacted similarly: washing its hands. But coincidences do not end with a simple and binding failure of the service. 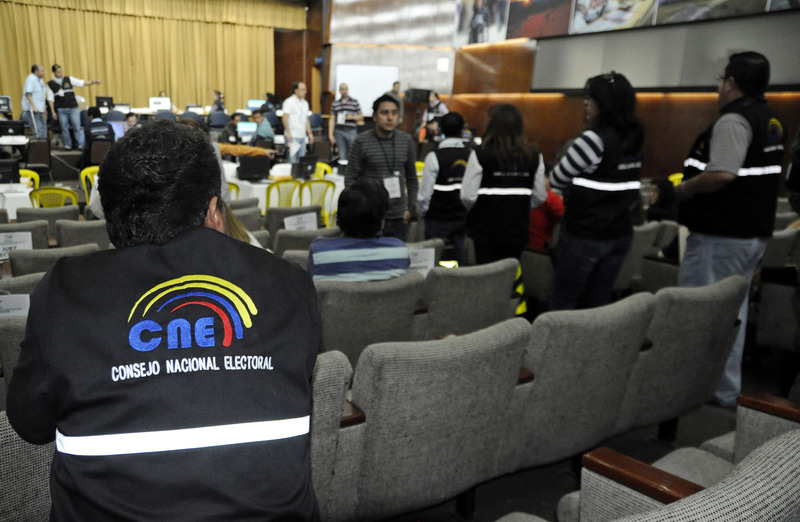 A month after the elections, the Ecuadorian National Electoral Commission (CNE) took action on this matter and Syctl´s Contract was declared null and void. The contract was unilaterally terminated and the corresponding warranty charges were applied. Through its spokesman, the company´s CEO Pere Valles, expressed his surprise at the Ecuadorian Government procedure and warned of legal actions. But is it a coincidence, or is there a modus operandi here? Precisely this week, after INE´s announcement, Pere Valles was surprised and launched a threat to the Mexican authorities. On this occasion and during the MVS news broadcast of Carmen Aristegui, Scytl insinuated that the early termination of the Contract by INE was political in nature. Time will pass and we will see. INE defends itself giving details on the Contract and explaining why the early termination. As yet, this Scytl threat seems to be just a simple intimidation to the electoral body, in an effort to preserve its reputation in other places, where this story —which is turning into a ritornello— may not make it to the news. 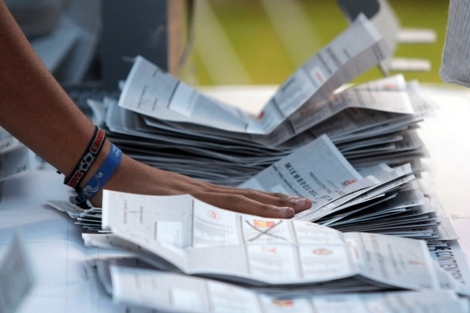 2015 is a year with an important electoral calendar for Colombia. Local elections will be held in October (mayors and governors), and during the first half of the year political parties will hold their own internal polls. Furthermore, there is the possibility that a referendum for peace is held in case the Government and the FARC reach an agreement. This foreseeable agenda will occupy a fair chunk of the year’s available time. In light of the challenge entailed by having to organize and execute elections without having to endure the ills that have affected recent electoral events, registrar Carlos Ariel Sánchez admitted there are risks such as transhumance (registering to vote in a place other than one’s residence) and excessive expenses in campaigns. However, he remained silent on serious issues such as void votes, pre-counting (initial results of purely informational nature, which often do not match the official count), double voting, or delays in the delivery of the final results. Sánchez admitted that the implementation of an e-voting model in the country “is still pending”. Such a model should help the nation to overcome the distrust that has clouded some electoral processes. However, he pointed out that although the Registrar’s Office has the ability to implement the technology, it all depends on the Executive branch allocating a budget to it. Colombia has a law that enables the automation of elections since 2004. In March 2012, an advisory commission was created for the implementation of e-voting, but this process has not progressed much since then. Although a call for bids was made internationally, and 16 companies applied to design a pilot test, the event still hasn’t been scheduled and resources have not yet been allocated to make viable the use of technology. So far, two automated voting models have been approved for experimentation: Precinct-Count Optic Scan (PCOS), and Direct Recording Electronic (DRE). However, the nation is still postponing the debate that would help to overcome the system currently in use, which sometimes has worked for a manual presidential election, but which has proven to be unsuitable for more complex voting processes, such as this year’s local elections. Ecuador’s National Electoral Council (CNE) is experiencing a credibility crisis after its newly-appointed board was practically forced to quit thanks to the unexpected resignation of one of its counselors due to her having a political affiliation. The CNE had a Board of Directors—presided by Paul Salazar—for eight days. Salazar set forth the need to undertake an all-encompassing reform of the Democracy Code. However, the newly-incorporated counselor Gloria Toapanta suddenly quit, seemingly as part of a political move regarding her partisanship, as she is a militant of the Alianza País party. This restrains her from keeping her post. Although the desertion of an advisory post should not have altered the Board’s composition, both Salazar and vice president Mauricio Tayupanta resolved to put the rest of the posts at the disposal of the CNE members, until the vacancy left by Mrs. Toapanda was filled. The situation, far from being solved transparently, abiding by the norms, became a process that already has raised legal procedures against it, as new authorities were appointed at the same time as the post was being filled in a suspicious manner. The reviews by the media shows that three people were considered apt to fill the vacancy: Solanda Goyes and Mónica Rodríguez, substitutes designated in last December’s contest carried out by the Citizen Participation Council, where Toapanda won. Besides, Ana Marcela Paredes, first substitute from the 2011 process, also requested her incorporation. According to Article 20 of the Democracy Code (CD), at the resignation of one of the main advisors, his or her post will be filled by the subsitute with the highest score at the contest where he or she was elected. In this case, the contest that applies is the one carried out in 2014. Solanda Goyes, who obtained 88 points in last year’s contest, claimed to be the first substitute. However, CNE counselors voted for Paredes, who was voted substitute in 2011 with 77.75 points. The affected candidate will file for protection and will take action against the appointment. Thus, Paredes’s entry gave way to the appointment of Juan Pablo Pozo and Nubia Villacís, who were appointed president and vice president of the CNE, respectively. After the issue was seemingly settled, different people, among them Fausto Camacho, former CNE member, criticized several of the State’s institutions for joining together to contravene the law. Camacho annouced that he will also take legal action. Although Pozo defended himself from the criticism arguing that CNE “is not an allocation council,” the entity is now facing an institutional crisis that is jeopardizing not only the body’s future, but also the country’s electoral guarantees, as Ecuador has been immersed in a process of suffrage modernization, in which the technology it will use to automate voting has been under evaluation. CNE’s institutional frailty might become an obstacle not only for the country’s electoral development, but for the preservation of suffrage. It is now the turn of legal instances to activate the mechanisms that enable the solution of what clearly looks like a political stumbling block.